Book-to-movie adaptations, or pretty much adapted works in general, are normally either amazing tributes or downright betrayal to the audiences they're catered to. And for the 90% of them we do get, it's the latter. However, every once in awhile, there's always that one out of many that is in fact a bit better than the original. & Tag 3 Friendly Bloggers. After first seeing the film as a kid, I eventually read the book years later after finding it on a random library shelf. Most would say its distractions that are the culprit (and they probably are). Some would say stress and a busy schedule are another reason. And others may add that I may be taking on too much all at once. Either way, I haven't really gone far with writing much since completing my second draft of my novel. Part of me is still stuck on that draft even though I'm just taking a break and letting my beta readers read it for now. Maybe because I'd worked on this story for so long and so tirelessly that it doesn't want to give up now. I've got a lot to explain about this: the reason I've kept this one off for the last - one - two months I think? The main one was trying to save up for equipment for college work and other stuff. 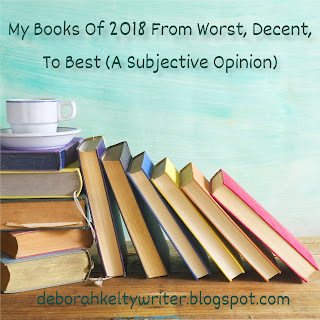 And the other was my appetite for reading, if you will, was kind of low in terms of reading an e book along with all the other ones I had (and tried) to read under a deadline. - A man determined to get justice for his family, no matter the cost. - A gynoid with two conflicting programming directives. - A monster slayer who is not everything she appears to be. Originally I had planned to post this some months prior, but didn't quite manage to get around it for a variety of reasons. I've probably said this sentence maybe before over a hundred times on different forms, but there was more to that than just, you know, trying to bring words onto the page. It was really more of finding a way to explain two iconic and beautiful films without heading somewhere too familiar. Films that aren't popcorn flicks, or barely even action films at all. But rather steampunk or cyberpunk thrillers, and a special kind at that. 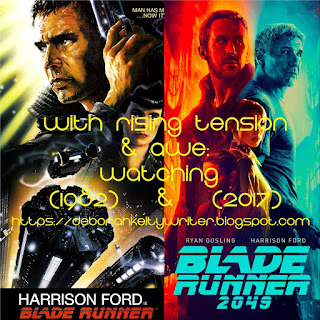 I heard a lot about Blade Runner and how it literally created its own genre despite its flop, as well as Blade Runner 2049 which came out 35 years after, and also ironically flopped but became one of the considered best sequels of all time. Like many out there who, at a young age (or even adults) were around during the mid 90's, early 2000's and early 2010's, I loved Pixar. And while I didn't see every film they made during that time, I was familiar with them and their iconic stories. 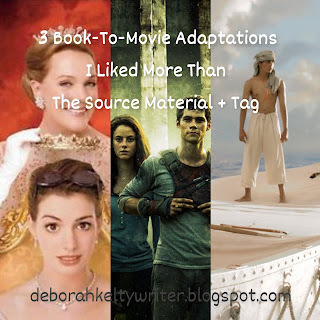 Such favorites for me were Finding Nemo, Wall.E, Ratatouille, Brave, and UP. The same goes for their shorts they add with their main releases, like La Luna, Day & Night and Knick Knack. They are brief, but are known for making many people grab tissues for their heart breaking moments, or just bring a charm, awe and innocent wonder we loved and connected to. 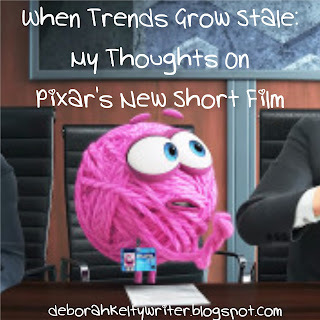 However, things have very much changed since Pixar first began, with some feeling that spark of creativity and original ideas which made the film company so successful, is beginning to fade. And now we have a newly released short that promises the welcoming of new ideas and new storytellers. With a lot of terrible options for a new post, cloudy weather and a tired soul, there's not really a lot of ideas I can conjure up in my bored mind. So, deciding to shake things up a little, I've created this: some honest thoughts about me, stuff I'm into, and where I am with them. Expect blunders and awkwardness along the way, and myself, too. 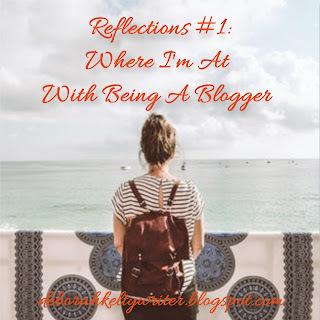 When I first started blogging about 1 and a quarter years ago in the late summer of 2017, I was both excited and nervous. 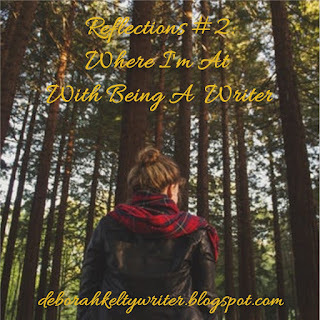 Having got into writing my debut novel (which just needs only one more serious edit, thank goodness) not long before, and also discovering other writers and their bloggers online, I couldn't wait to start my own platform in the community as well. Since 2018, I've read quite a few books. And although I didn't complete that reading challenge on Goodreads (since I probably got a bit overconfident in myself), I did get the chance to find some new stories to check out and engross my thoughts in. So, like so many others have done time and time again, here are my books (not counting uncompleted or ones I've read previously) of books, from worst, through decent, to best. Also, this is subjective (with maybe some objective criticism), but bear that in mind. Oh boy, after reading the first which was quite intriguing, and then the second which bored me for most of its story, this was the cherry on top. In that it was a terrible ending to a trilogy that could have been good which wasted its idea which had a lot of potential, including turning its characters into unlikable idiots, and wasted everything else it had to offer. Enough said. Yeah, I finished another one!....and that's all I've got to say for an intro. Synopsis: A forest looms over Bardun Village. Nobody goes in. Nothing comes out. The secrets in the oaks remain hidden until a mischeivous escapade thrusts Martin and Elodie behind the silent trees. 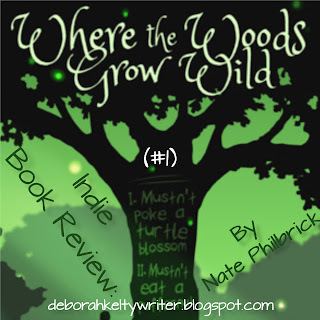 Separate and lost in a tangle of fantasy, they discover more than animals roam where the woods grow wild. Where The Woods Grow Wild is a middle grade fantasy, with a future sequel, Where The Woods Grow In Flames, in the works. 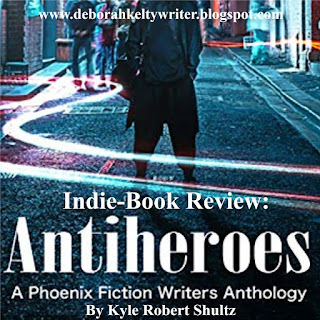 The author is Nate Philbrick, whose other books include The Broken City Of Crows (originally posted on Wattpad) which will become an official published trilogy starting in summer this year with The Wasteling Crow. Plus a short story (The Astoundingly Mortal Peril Of Denna Dorwen). Along with complex stories, I enjoy simple ones as well from time to time. A lot of the ones I read childhood were such examples, and Where The Woods Grow Wild was, like them, a joy to read and more. 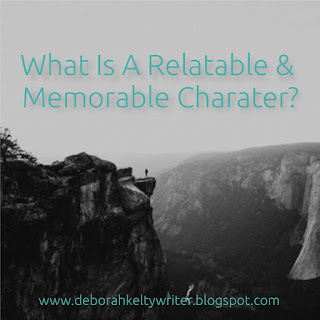 What Is A Relatable & Memorable Character? Back when I first started my blog, one of the first I did focused on particular character types, both on heroes and heroines. And while they weren't the best, they did leave me interested in the different personalities many come across in stories. One of those character examples I mentioned was Rey from the Star Wars sequel trilogy. Because, for one, she was at the time kind of popular, and also, I kind of liked her. At least, I thought she would be a great character, once The Last Jedi came out and expanded on the questions that involved her. Unfortunately, that wasn't the case, and though it had come near to greatness, it didn't go any further than that. So with the way things are when it comes to certain characters, whether it be male characters, female characters, races, etc, or any other such as the infamous Mary Sue/Gary Stu's, creating one that is both compelling and iconic is a big challenge.